The TSRr profile with a reduced the sidewall thickness from 3mm to 2.5mm. This, along with an improved carbon layup, gives SL riders far better distribution of force on impact. A 28mm internal width provides the best profile for trail bike tires up to 2.4" wide. 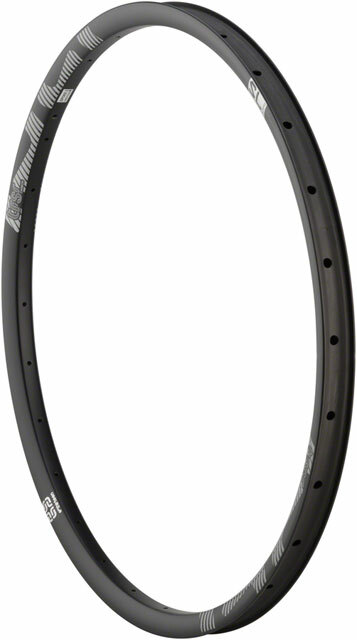 Like all e*thirteen carbon rims, the SL has a hook-less profile. The TRSr SL rim is more durable than aluminum, it's lightweight and offers precise steering response.